Brazilian Jiu Jitsu is a grappling-based martial art designed to control a resisting opponent and force him to submit. Brazilian Jiu Jitsu practitioners take their opponents to the ground, control them, achieve and maintain a dominant position from which to be able to strike or apply various joint locks or strangles, and leave their opponent no option but to surrender. 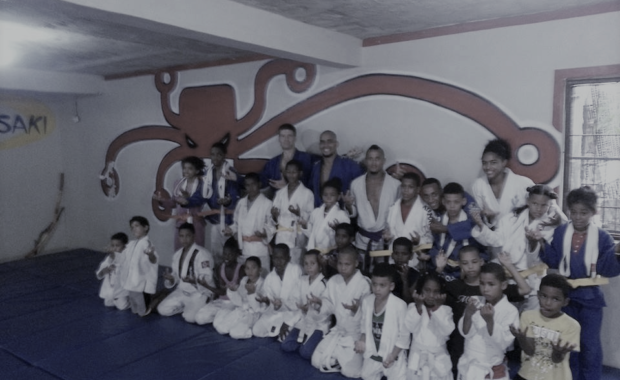 The central premise of BJJ is control — the BJJ athlete is able to control his or her opponent and subdue him or her without receiving, or causing, unnecessary damage. While BJJ maintains its focus on real-world defense situations and is the predominant ground-fighting system for Mixed Martial Arts fighters, there is an active competitive scene, bringing competitors from around the world together to challenge test their skills and share their love for the sport. Get in touch with us and arrange for your first class!